Legendary among anime fans for her performances in Macross Frontier, Accel World, and her latest theme song for Lord of Vermilion, May’n reflects on the first decade of her singing career, her approach to creating her anime theme performances, and her eternal love for taiyaki in our interview with the singer before her return to Anime Expo in Los Angeles for Anisong World Matsuri. Years ago, you began performing your concerts backed by a full band. 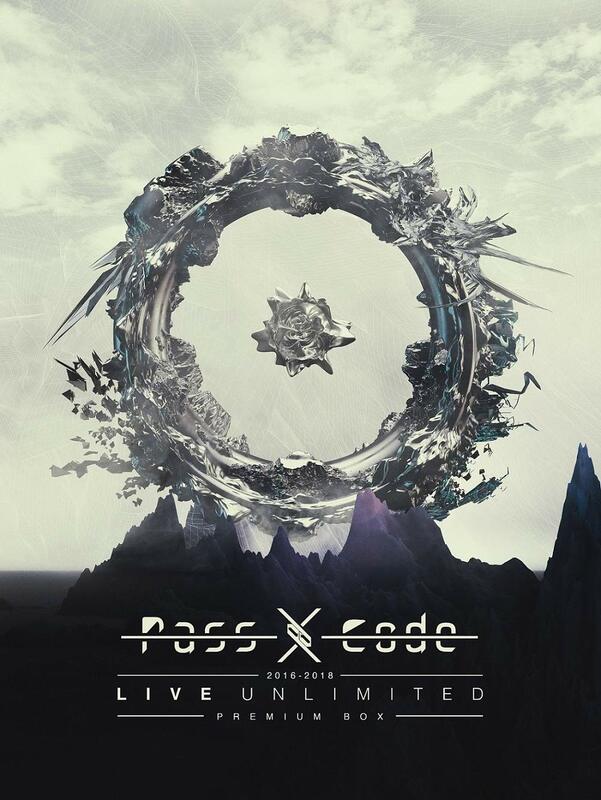 How has that added power to your live shows? May’n: I think that by adding more people playing on stage with me, in addition to my own passion and heat toward the music, the audience can also feel the intensity of the band, and the excitement builds even more that way. Many of your songs contain really dramatic emotions — the high-energy “rock” songs and the ballads, too. What’s your process for bringing up such strong emotions during recording? And how do you keep you keep those emotions fresh during so many years of concerts? May’n: I read through the script and discuss the concept beforehand so I can find the feelings that will make the right song for each anime. That’s how I get in touch with the personal emotions I need during the recording. But with performing, it’s a different story because fans are out there, and they bring in a different energy, different emotions. For example, with “Diamond Crevasse”, it’s a sad song and fans are expecting that emotional feeling. Even though it makes me so happy to sing it, I take in the emotions coming to me from the audience and I reflect those in my performance. You’re also really physically active in your live shows. How do you keep up your physical training? May’n: Kickboxing! Two, three times a week. I’ve been doing it a little over two years. Before that, I was just doing general gym training with a personal trainer. It’s a lot of fun. When you’re creating a theme song for a new anime series, is it normal for you to see the animation and story first? How much do you have to visualize on your own to create your performance? 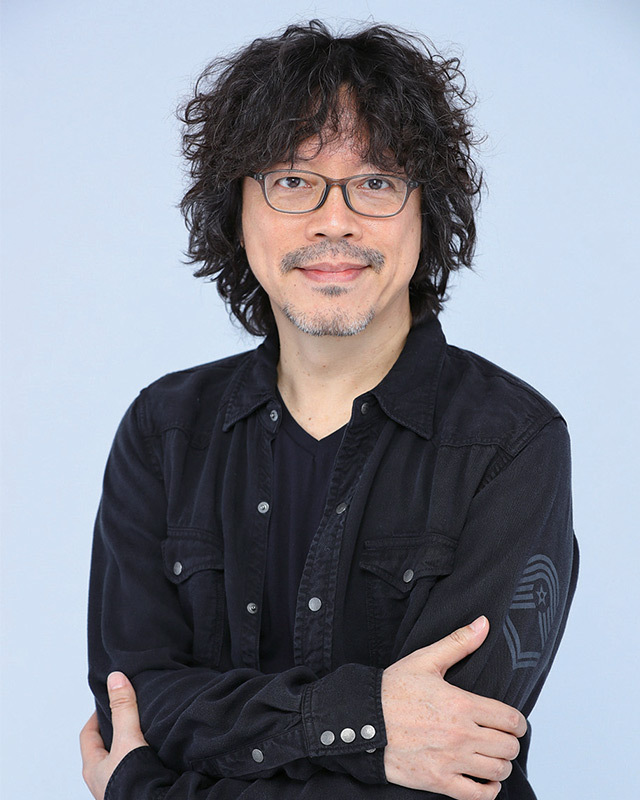 May’n: It really depends on the project, because many times, music comes first during the production process in Japanese anime. So I feel like I have to imagine a lot of things. Sometimes, if it’s based on a manga, the images are there to give me ideas, but if it’s an original animation, it’s difficult to get a lot of information beforehand, so I have to imagine the characters, the setting, everything. Sometimes, the animators will create the final animation based on the flow and style of my performance, and it makes me really happy when I can finally see the visuals and how they match the beats and rhythms and emotions of the song. Has there ever been a time when the final design of an anime character ended up looking totally different than what you imagined? 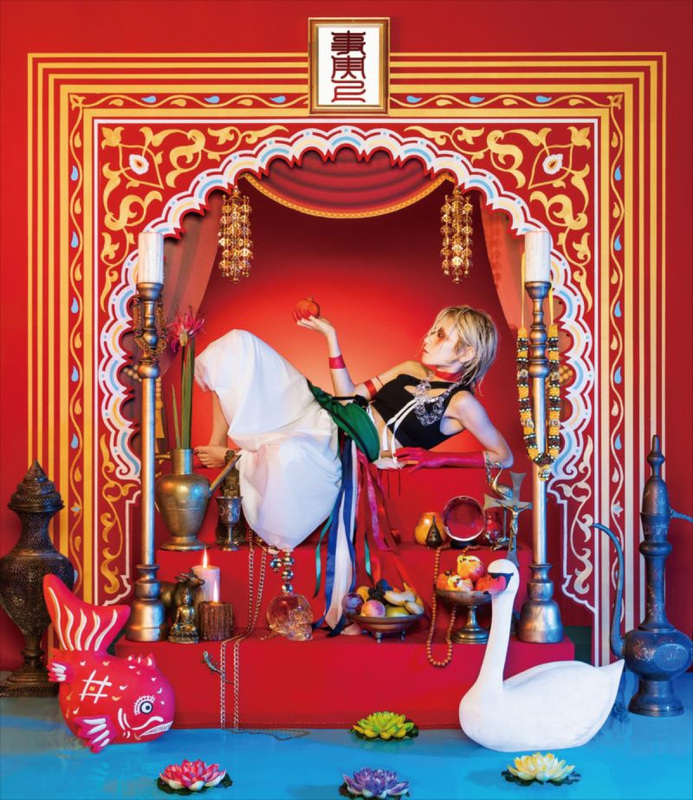 May’n: I don’t feel like there’s ever been a major difference in my expectations, because I’m concentrating on singing about the world of the story and its characters, not about specific details about a particular character or place. So for the most part, the visuals end up reflecting what I Imagined, and then the details and faces make it feel even more alive. The exception was with Macross Frontier, when I was performing as Sheryl Nome. Sometimes I’d see the final version of the scene and think, “Oh, is that how it’s going to be placed in the story?” When I was singing the song, I was feeling one emotion really strongly, but when it was placed in the story as a counterpoint to a particular scene, I was surprised. Sometimes it wasn’t what I was expecting, but it made it even more wonderful to watch. 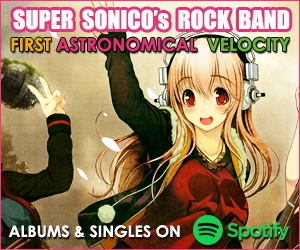 You just announced your next single, the OP for Lord of Vermilion. What was your process like for creating this song? May’n: This is my tenth year performing professionally as May’n, and I’ve been performing mostly high-pitched songs in connection with various anime. Those are all precious to me, but when I began singing I used my lower pitch more, and I wanted to get back in touch with that. I wanted to challenge myself to perform in that style again, and when I became involved with Lord of Vermilion, since it centers on a heavenly battle and it’s kind of an aggressive theme, I felt like this was the perfect chance. So this is a very rare song for me. Another reason I felt strongly about going in this direction is that this anime is about each character finding their roots, finding their destiny. This being my tenth year, I’m also searching to re-energize and re-define myself and my relationship to my fans, so I felt even more strongly about connecting to this theme. Another new project is the stage musical based on the Kurosawa film Ikiru — how did you get involved in this project? May’n: I really enjoy musicals, and it was good fortune that the producer of the Ikiru musical came to see one of my concerts and said, “Oh she’s perfect to play the heroine Toyo.” That’s how I was offered the project. Toyo is very positive about life, no matter how negative the situation is. She’s very bright and bubbly and uplifting, and that energy for living came out in my concert, because I have that same positivity thanks to my fans. I feel like my fans’ energy led me to Ikiru. How do you feel about the enduring popularity of Macross Frontier and Sheryl Nome? May’n: I’m so incredibly happy that it’s still popular and that Macross Frontier and Sheryl still have such passionate fans. It’s exciting to see the crowds at the anniversary events, and the new projects are bringing in even more fans, now, too. Macross Frontier made a big impact on your music career, and now the young members of Walkure from Macross Delta look up to you. They’re in the same position you were a decade ago. Were you able to give them any advice? May’n: I haven’t been in the position to give them any advice directly, but I’ve really enjoyed performing with Walkure just because of their young energy! It makes me feel challenged, in a good way. It energizes me — I have to keep up with them! 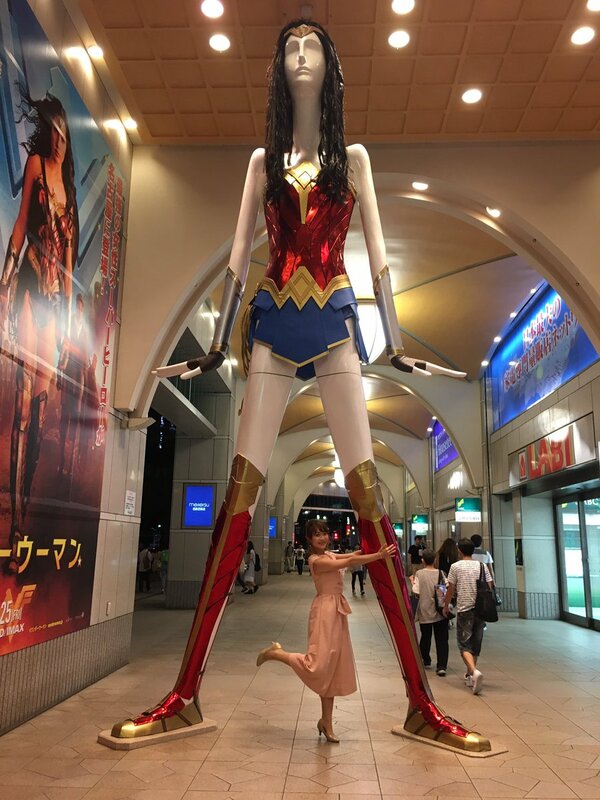 You often pose for photos with the Nana-chan statue in Nagoya. Why do you like her so much? She collaborates with so many famous characters — how did you feel when you got to do your own “May’n” collaboration with her? May’n: I’m surprised when people know about Nana-chan! In Tokyo, there’s the Hachiko statue, and people all over the world know about it. 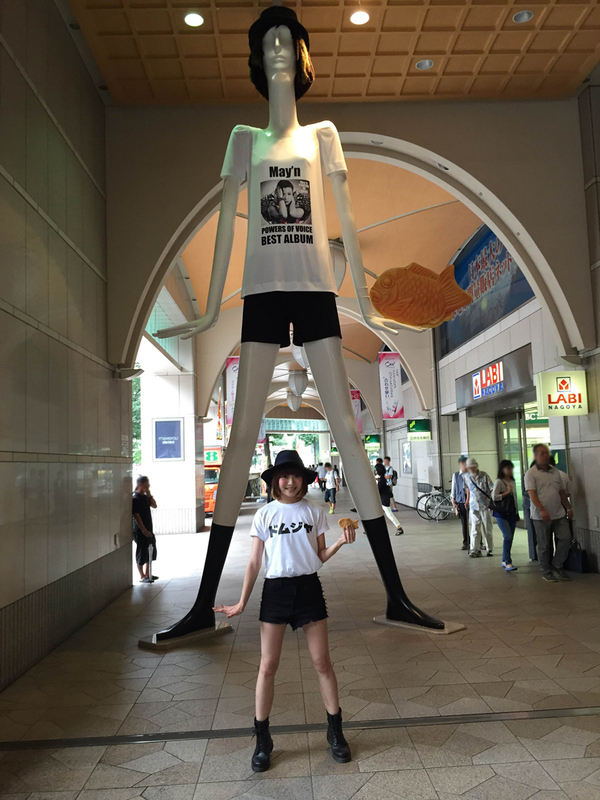 Nagoya people also know Nana-chan as a famous photo spot, but still many people in Japan have never heard of her. I want everyone to know how great Nana-chan is, and that’s why I started taking so many photos with her. Since she changes her costume so regularly for different seasons or campaigns, I always dreamed I’d get a chance to do a collaboration, too. When my “Best” compilation album came out, we had the chance to do it, and she had my same style of stage outfit and hat and everything. Nana-chan’s campaigns are usually fashion brands or anime characters, but I got to be the first living person to do a collaboration. So that was a great feeling. 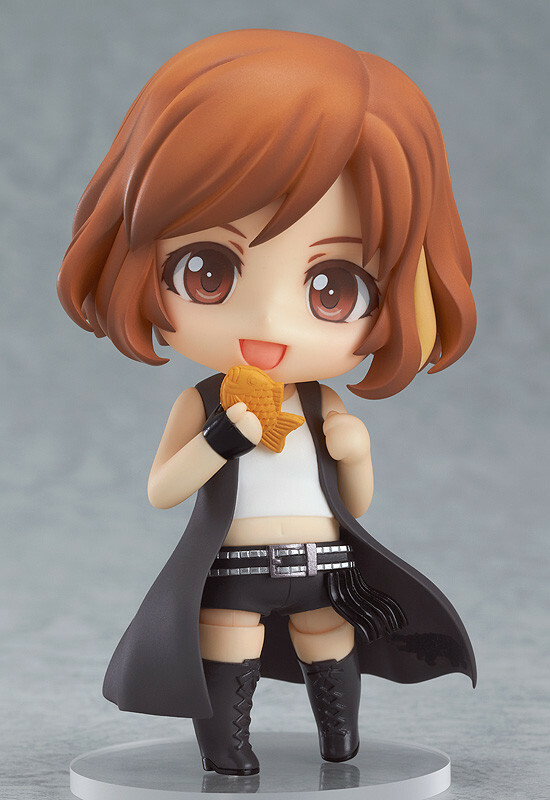 Your Nendoroid figure included a microphone, a tour towel, and — also — taiyaki. What’s so special about this treat that makes it inseparable from May’n? May’n: It’s my favorite food. It has nothing to do with Nagoya, it’s originally from Tokyo. But I really, really love that taiyaki exists. It’s always different, depending on the shop. Sometimes it’s thin, sometimes it’s thick, sometimes it’s cute, sometimes it’s ugly — there are so many variations, and it kind of stimulated my otaku mind because I realized I could collect the experiences of all these different taiyaki everywhere. It urges me to find every different kind I can, if they’re super-tasty or even not delicious at all, I still want to experience them — I want to search for every one I can find! It’s really the thing I love most. I did a talk show where I only talked about taiyaki the entire time, so it’s dangerous to get me started on this! Actually, taiyaki has an interesting story — originally it was supposed to be just a circle shape, but poor people who couldn’t afford expensive fish would say things like, “Oh, I really wish I could have red snapper tonight,” and then they made taiyaki into this shape so they could imagine having what they wanted. And many places still have the sign “Taiyaki — 100 yen”, and it’s been that same price for years and years, so that’s also fascinating for me. It’s still such an interesting part of Japanese culture and history, and the more trivia I learn about taiyaki, the more I feel I learn about Japan, and that’s why I love it so much.